Home / Entertainment News / HESSY shares shocking details on DAVID MWAI, the hit man hired by ALI KORANE to kill Ex-Garissa Finance CEC. HESSY shares shocking details on DAVID MWAI, the hit man hired by ALI KORANE to kill Ex-Garissa Finance CEC. 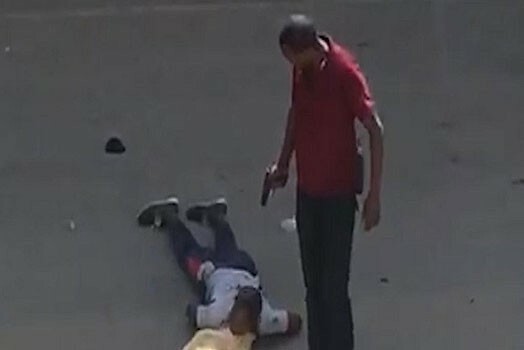 Saturday, September 1, 2018 - The famous under-cover cop, Hessy Wa Dandora, has revealed that David Mwai, the main suspect in a case where Governor Ali Korane is accused of hiring assassins to kill former Garissa County Finance CEC, was a dangerous hit man with very high connections. He had been promoted to a Field Marshall in the crime world because of his strong connections with powerful people who used him to do dirty work. David Mwai died under mysterious circumstances inside Parklands Police Station cells after he confessed that Ali Korane hired him to kill the former County Finance CEC. Police allege Mwai committed suicide inside the cells but his family say he was murdered by cops under the instructions of Ali Korane. A few months ago, a Government driver was shot dead in Kariobangi South after parking his GK vehicle and nothing was stolen from him. Hessy claims that David Mwai is the one who shot the man. He may have been sent by someone to kill him.